To get healthier teeth, most of us realize that we need to brush and floss regularly. However, there are some cases where adding a supplement to your diet could provide great benefits to the health of your teeth. While you should consult with your dentist or doctor before adding any supplement to your diet, there are a few common options that patients opt to take for stronger teeth. 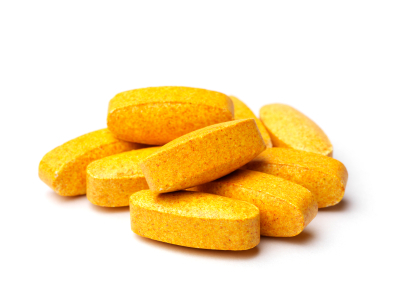 Coenzyme Q10, otherwise known as CoQ10, can be a great addition to a teeth-friendly diet. This supplement is an antioxidant that helps to maintain the body's soft tissues, which can include the gums. Some studies have even shown that a daily CoQ10 supplement could reduce the size of the pockets caused by gum disease. Studies have shown that people with low intakes of Omega-3 fatty acids had a significantly higher rate of gum disease progression. Regularly taking Omega-3 supplements can help to treat gum disease, as its anti-inflammatory properties can reduce the chance that you develop gum inflammation. Vitamin C is an extremely important nutrient for the teeth. It serves as a collagen building block that keeps the teeth attached to the gums. Studies have shown that people who didn't get enough vitamin C in their diet were significantly more likely to develop gum disease. If you aren't eating enough fruits and vegetables that are high in vitamin C, you may want to consider adding a supplement to your diet. Calcium is an important mineral for strong teeth and bones. If you don't get enough calcium in your diet, your teeth and jawbone can weaken, causing your teeth to become loose. Women are especially prone to deficient calcium levels and should consider taking a supplement. If you need additional suggestions for how to improve the health of your teeth, contact our office to set up an appointment.